Norwegian Breakaway is ready to whisk you away to your best vacation yet. Take a Bermuda cruise and build a pink sand castle, swim with dolphins in the Caribbean or Bahamas, step back into history on a Europe Cruise, or just enjoy relaxing days on a Transatlantic voyage. Named Best Cruise Ship for Families by USA Today, there's something on board for everyone. Breathe in the fresh ocean air and connect with the sea like never before along The Waterfront, a quarter-mile oceanfront promenade lined with restaurants, bars and spectacular views. Indulge in more than 25 dining experiences, including three new, dedicated seafood venues. And enjoy dazzling Broadway performances - Rock of Ages, Burn the Floor and Cirque Dreams & Dinner Jungle Fantasy. 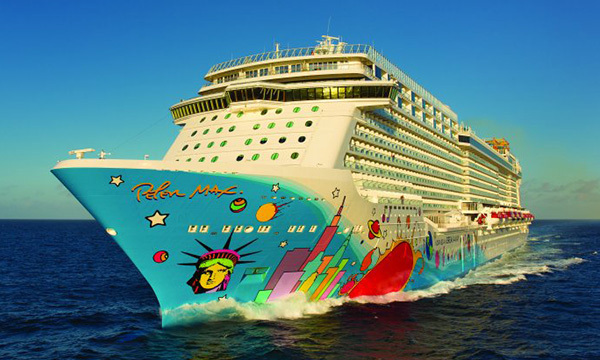 Norwegian Breakaway combines the best of New York City with the most magnificent amenities at sea. The sounds of the slot machines and cheers of the crowd at the neighboring casino won't distract you from noticing this stunning, intimate bar. It could easily become your favorite haunt, especially late at night. Dark wood floors. Exposed brick. Legends of decades past hanging on the walls. From the moment you step inside, you'll feel you're in a swingin' New York City jazz club. Whether you're watching a five-piece performance inside or sitting outside on The Waterfront enjoying a drink, the ocean breeze and the cool sounds, this is the place for some of the best live jazz and blues music you'll hear at sea. Quit searchin' for your lost shaker of salt, it's right here at Jimmy Buffett's Margaritaville at Sea, only on Norwegian Cruise Line. Take a bite out of paradise with signature items like the Cheeseburger in Paradise. Sip on a Who's to Blame Margarita. Or sit back and groove along to island-inspired music at this specialty dining venue. Inspired by the lyrics and lifestyle of Jimmy Buffett, this isn't just a restaurant. It's a state of mind. 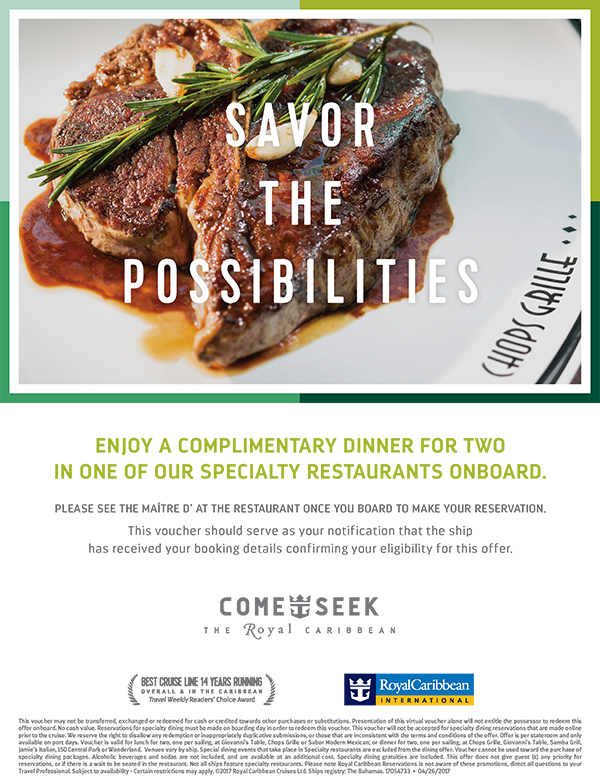 Between Cagney's Steakhouse and Moderno Churrascaria, take a seat, order your favorite beverage and be a part of the action of 678 Ocean Place.